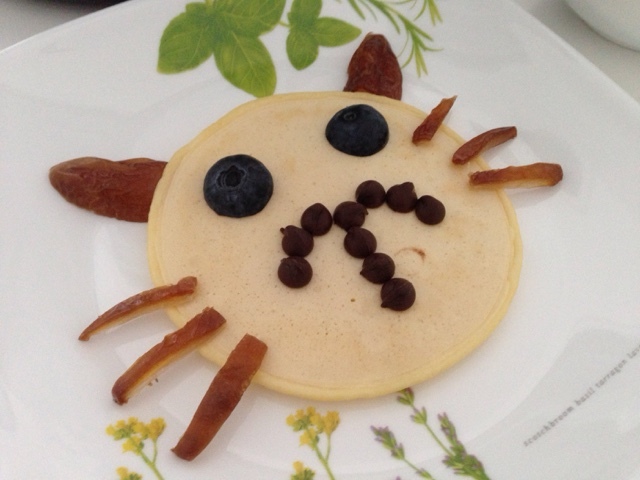 "Mummy, I remember the kitty cat pancake you made for me when I was a little girl." Check out the time and date stamp! 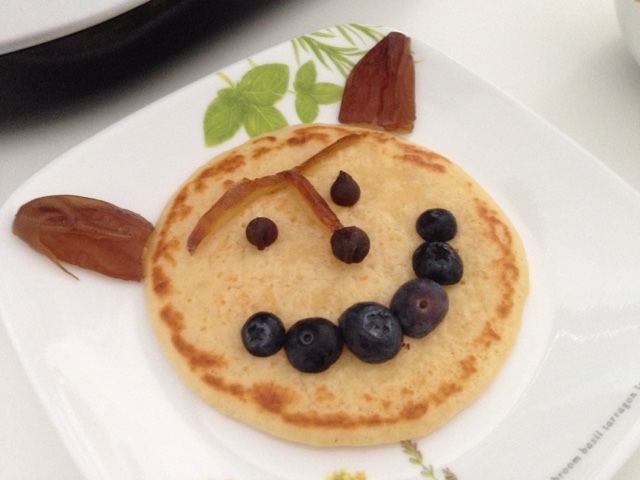 3 plus years ago back when it was just the 2 of us at home and The Other Half was working from his office...we spent so many hours perfecting our pancakes for teatime. We finally settled on the simplest recipe of 1 cup flour/1 cup milk/1 egg/1 pinch of salt/1 tsp vanilla extract. Mix well and 1/2 ladleful onto non-stick frying pan. Flip over when bubbles appear. It is so easy Girl can almost do this under supervision nowadays. Since I had donated all our Teflon non-stick frying pans and cookware away, I had to purchase a new Green Pan 10" non-stick frying pan (just for this project of love and devotion). Thank goodness for the Isetan sale! I worked on granting her wish while she was completing her homework on Friday. Lo and behold! 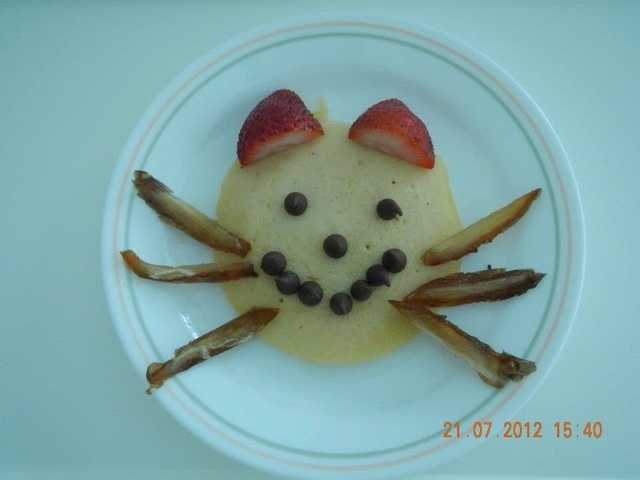 Was she was thrilled beyond words or was that a joyful gasp when she saw her kitty cat pancake. An "upset" cat for her. Side note: Her favourite character from Inside Out is Sadness, because once you have felt sadness you can better appreciate joy. And an almost-Gruffalo for Bean. We will use dried apricots for orange eyes next time, inshaAllah. They both polished their plates clean.